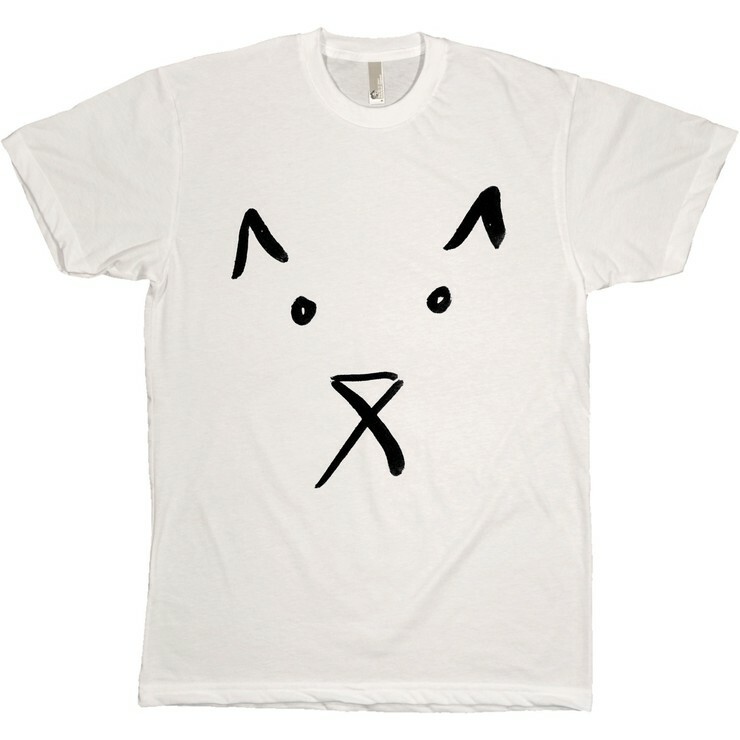 Cat-lovers rejoice! 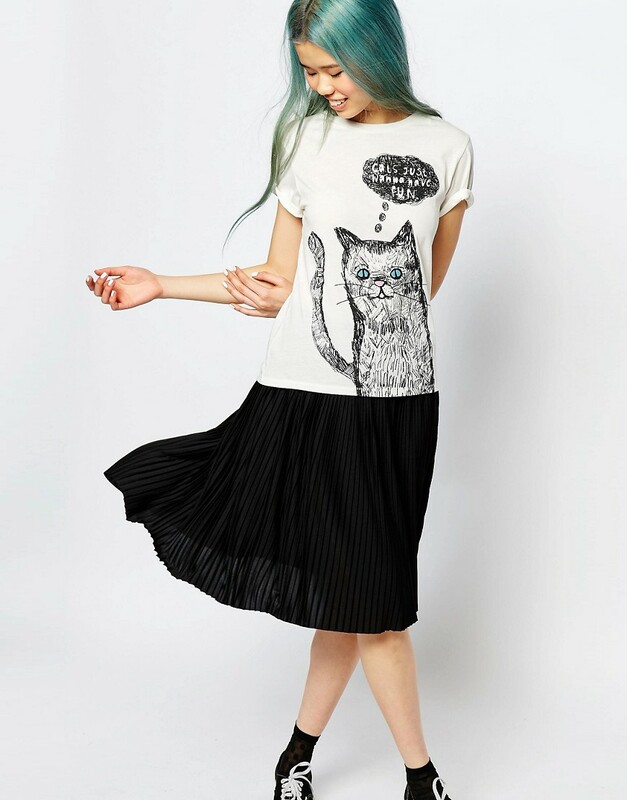 We’ve lined up for your enjoyment 16 of our favorite cat-themed clothing pieces. Now when we have to leave our kitties behind at home we can still share our cat love with the world. 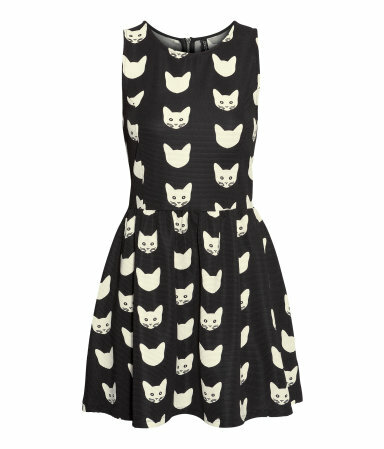 We want to wear this adorable dress every day of the week. 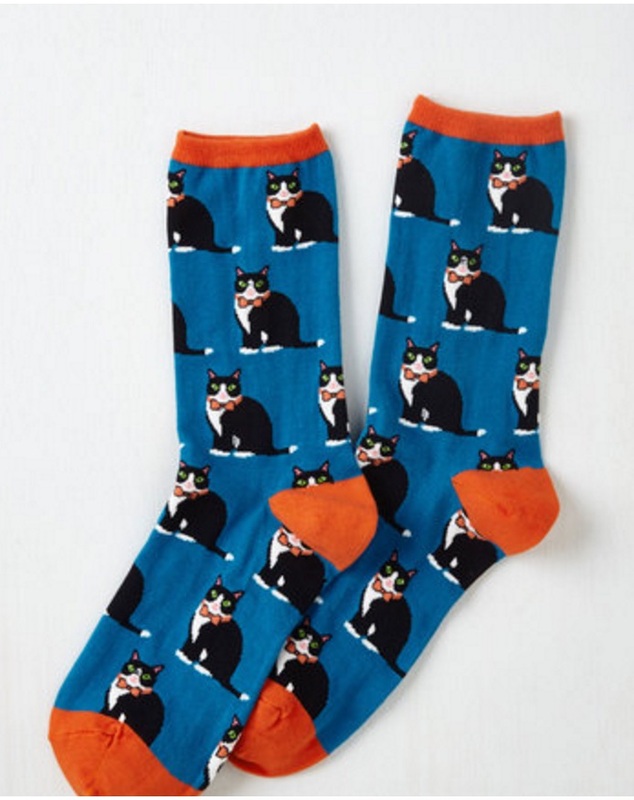 These are sure to make cat-lovers’ dreams come true. 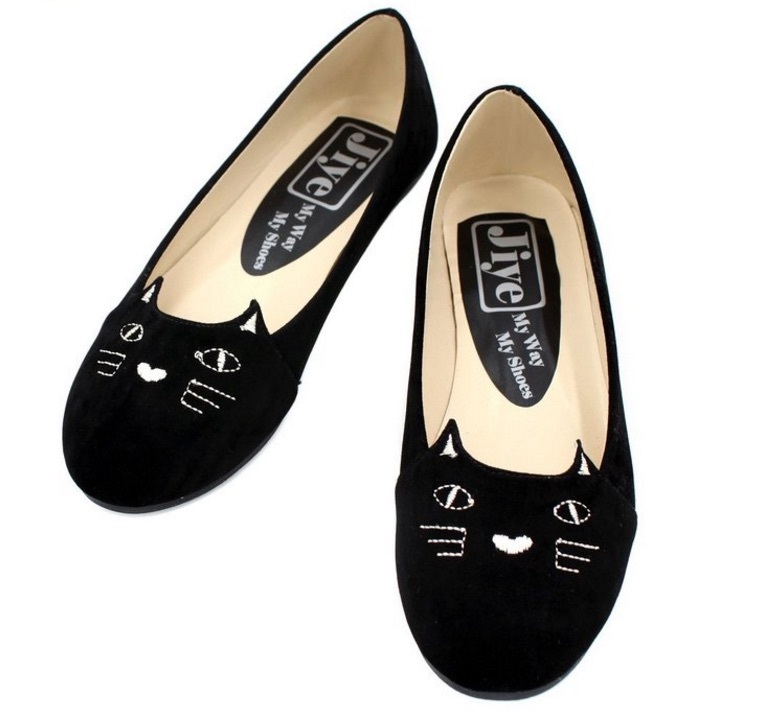 Pair these with a cute skirt and shoes for an adorable, frisky feline look. 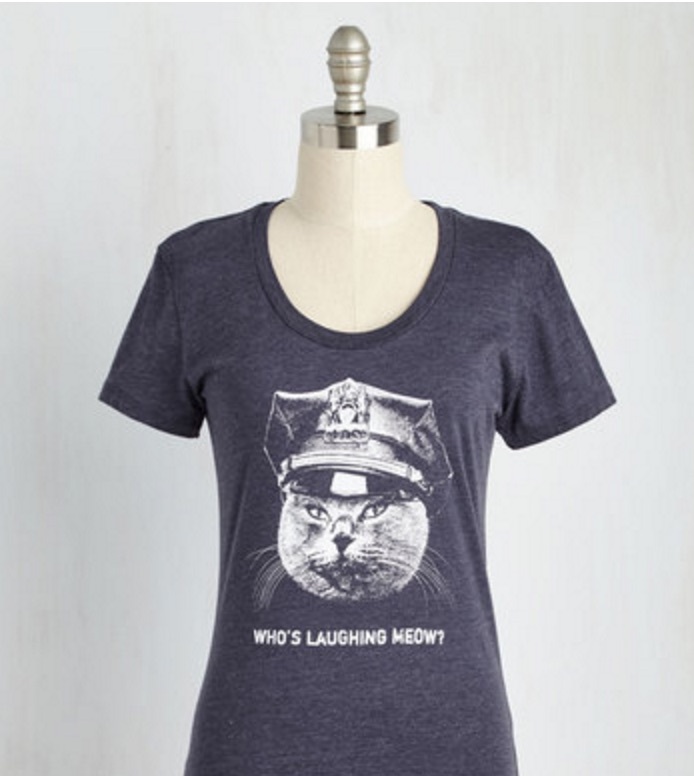 Are there any cat-lovers who don’t enjoy a good pun? 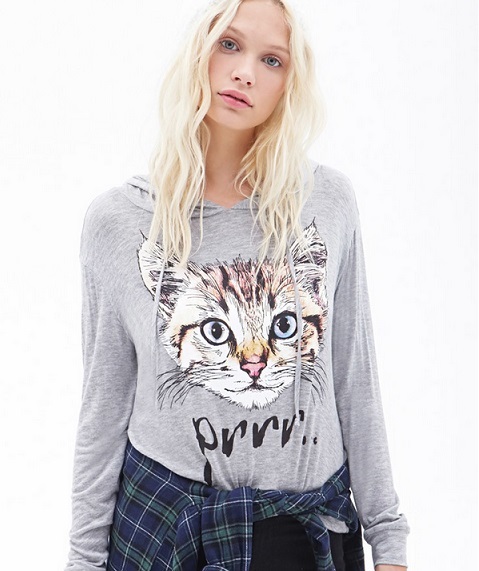 Show your kitty pride while staying warm! 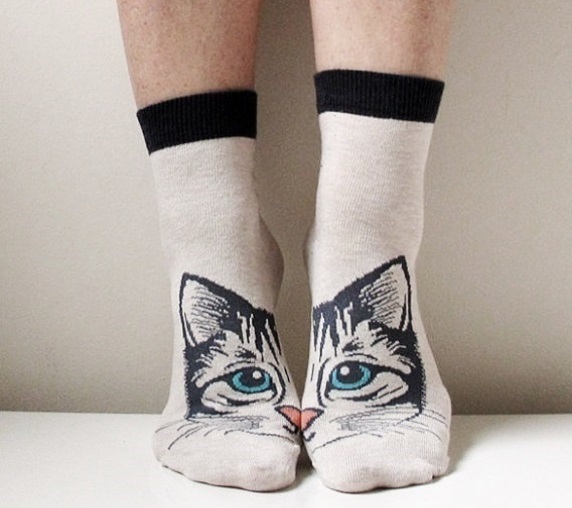 For the more demure cat-lover, these adorable kitty socks can remain hidden under your pants cuff. 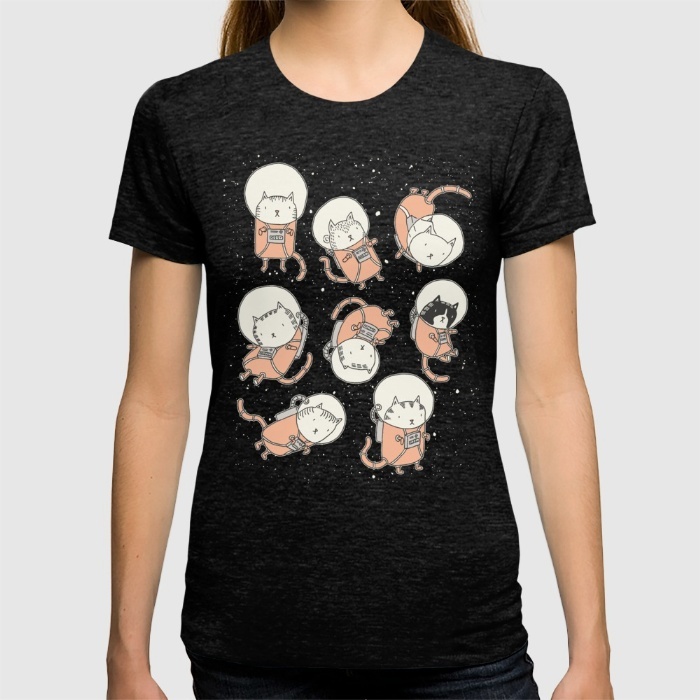 Cats and space — we love them both. 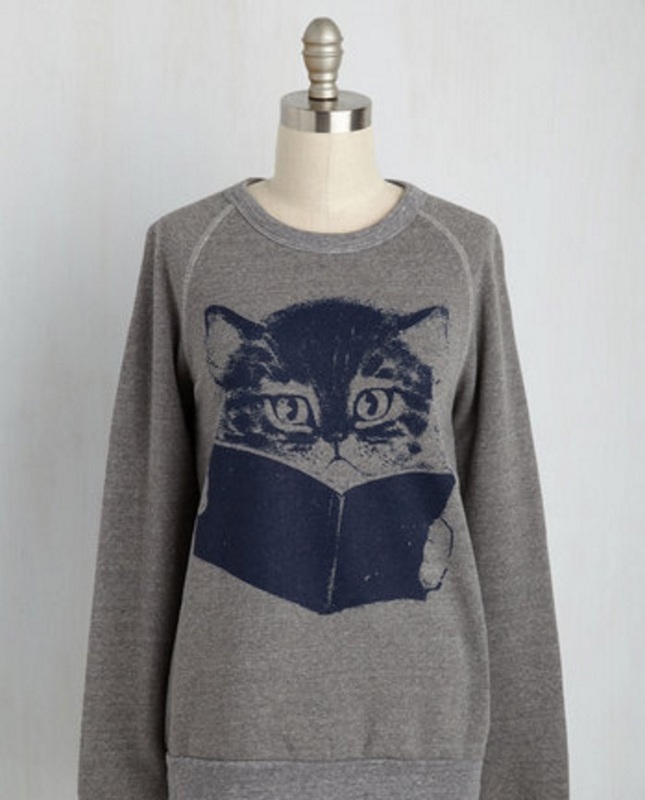 This sweatshirt combines two of our favorite things: reading and cats (also, warmth)! It’s true: Cats do just wanna have fun! 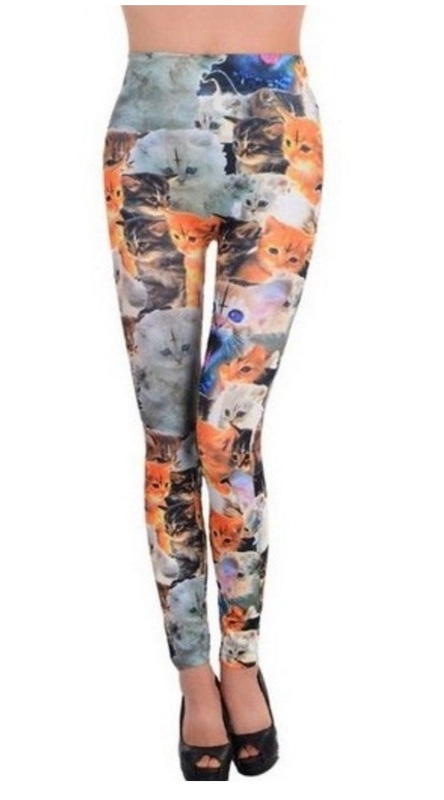 We love these funky cat leggings. 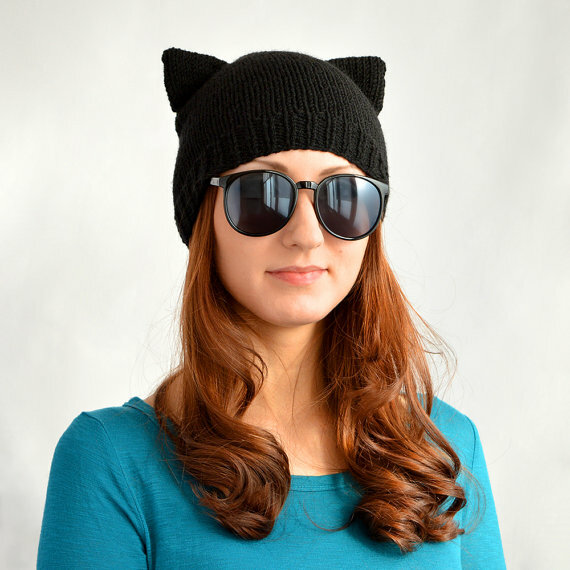 Stay warm — with cattitude! These adorable shoes come in black, red, blue, and grey! 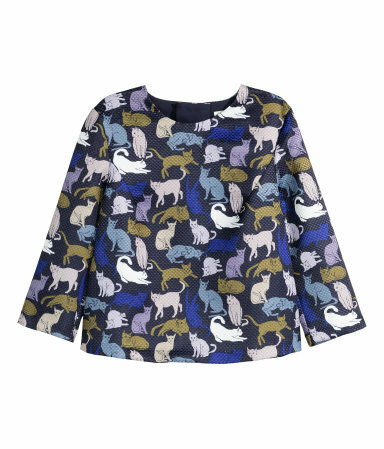 This is the perfect blouse for those long days at the office away from your feline friend. We really dig the way these socks work best as a pair. Even better, these are good for men and women! 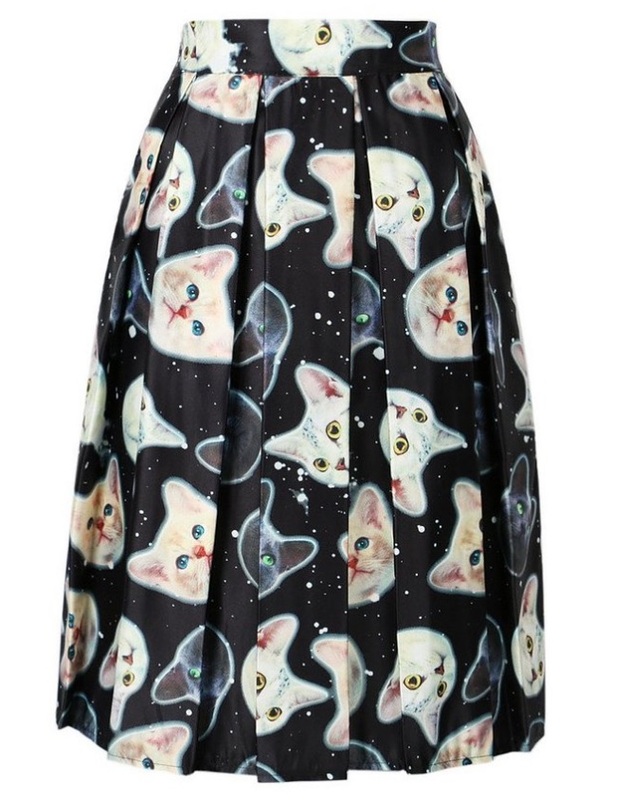 So tell us, what kitty-themed couture do you HAVE to have? ?